Getting into medical school isn’t easy — but historically, students from marginalized backgrounds have faced additional barriers. A suite of initiatives offered by the MD Program is increasing the number of students from groups underrepresented in medicine and health care. Just two years ago, the first-year cohort of medical students had just one Black student. That number jumped in 2018/2019, when 14 students admitted through the Black Students Application Program (BSAP) began their studies at the Faculty of Medicine. The optional pathway allows students who self-identify as Black to submit a personal essay and have members from the Black health community participate in their admissions file review and interviews. Through BSAP, applicants are still required to meet the same Grade Point Average (GPA) and Medical College Admissions Test (MCAT) scores. “BSAP helps us show prospective students we embrace their identities and value their lived experiences,” says Hana Lee, Associate Registrar, Admissions and Registration. Ike Okafor, Senior Officer, Service Learning and Diversity Outreach, also points to Community of Support (CoS) as a tool that’s helped increase diversity in the MD Program and beyond. CoS offers students in undergraduate programs access to mentors, job-shadowing, volunteer and research opportunities, admissions information and guidance. Open to Black, Indigenous, Filipino or economically disadvantaged students, the program helps participants build skills and connections that help level the playing field when it comes time to apply to medical school. More than 1000 students have taken part in CoS and several have since earned spots in medical schools across Canada and the United States. Many have also kept in touch with Okafor. “When I was trying to navigate my way into medical school, it was difficult if you didn’t have family members in medicine or if you don’t have connections,” recalls second-year medical student Cheyanne Reed. On her journey to medical school, Reed joined CoS while she was completing her undergraduate degree at Western University. The experience helped her better understand the field and cemented her interest in studying to become a doctor. Through the program, Reed connected with other Black students preparing to apply to medical school. Today, Reed is co-president of the Black Medical Students Association (BMSA) and continues to be involved with CoS as a mentor to other aspiring medical students. This summer, she also spoke with high-school students taking part in the Summer Mentorship Program (SMP), which gives students of Indigenous or African ancestry a month-long look to explore and experience health sciences at the U of T.
While initiatives aimed at increasing the diversity of students applying to medical school are part of the solution, the support mustn’t stop after offers of admission are made. Professor David Latter, Director of MD Admissions and Student Finances notes the need to provide everyone in the MD Program with a safe learning environment. “These pathways have generated interest from people who might not have otherwise considered that U of T Medicine could be a good fit for them. Now, we need to make sure our students know they have support,” says Latter. That responsibility is shared among all levels of the Faculty and extends into representation in the curriculum. 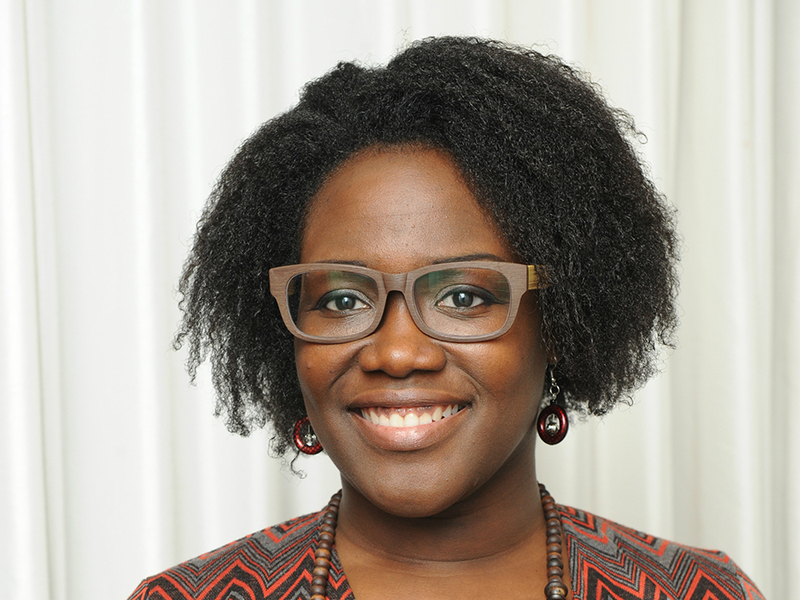 Dr. Onye Nnorom, the MD Program’s first Black Health Theme Lead, says the idea is to integrate diversity for the whole class and ensure graduates learn about the issues that affect the Black Canadian population. “Everything we learn here is supposed to prepare us to be the best physicians we can be for our patients. And it’s not just for patients who presents or look a certain way,” says Kimberly Young, who is also a second-year medical student. Young, who is also a member of BMSA, says she’s excited to help her classmates and future colleagues understand the importance of diversity and inclusion. The student body will also play an important role in fostering a welcoming culture.